Has Manny Pacquiao really lost his power and killer instinct? A trendy topic of conversation in boxing circles lately is whether Manny Pacquiao has retained his power as he has aged and ascended in weight. Some also wonder if his out-of-the-ring commitments to politics, music and basketball have re-shifted his priorities and zapped some of his natural boxing killer instinct. Let’s take a look at the compelling evidence from both sides of the argument in order to get to the heart of the matter before I share my personal opinion. One glaring fact that stands out is that Pacquiao (56-5-2, 38 KO) has not scored a knockout win since his TKO victory over Miguel Cotto back in November 2009. That’s an eight-fight, five-year span in which nearly all his fights went the full twelve rounds, the lone exception of course being his December 2012 knockout loss to Juan Manuel Marquez. There have also been times – perhaps most notably against Joshua Clottey, Antonio Margarito and Brandon Rios – when Pacquiao had opponents completely overmatched and possibly could’ve pressed for a knockout, but seemed content to go the distance. 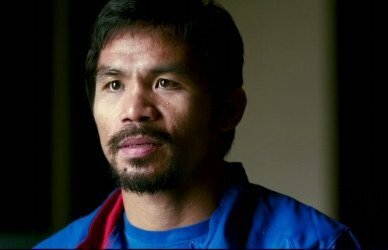 This apparent lack of a bloodlust mentality has fueled many critics to speculate that Pacquiao is now a more complacent boxer who no longer has or trusts his own power. But it also begs the question: Is there anything inherently wrong with not going for a knockout? This is where the flipside of the argument comes into play. Maybe it’s not actually a loss of power or a lack of bloodthirstiness; maybe Manny has matured since the relentless, all-out-war days of his epic fights with Erik Morales and his first few fights with Marquez. Maybe Manny is a smarter boxer now, more aware of his opponents’ chins and keener to the idea that trying to force a knockout isn’t always the wisest course of action. – Joshua Clottey implores a nearly impenetrable turtle shell guard and has never been stopped in his entire career, spanning 43 fights. – Antonio Margarito had only been knocked out once in 45 career fights heading into his bout with Pacquiao. – Shane Mosley had an all-time great chin and had never been stopped in 54 career fights heading into his bout with Pacquiao. – Juan Manuel Marquez (x2) has zero knockout losses on his record in 64 professional fights. –	Timothy Bradley (x2) has zero knockout losses on his record in 33 professional fights. – Brandon Rios has zero knockout losses on his record in 35 professional fights. If you’re keeping track at home, that’s a combined one knockout loss among Pacquiao’s last six opponents/eight fights at the time Pacquiao faced them. Manny Pacquiao has not lost his power. Manny Pacquiao has not lost his “killer instinct.” He just realizes now that in the upper echelon of boxing, only a complete buffoon would insist on trying to force a knockout that’s not there against a world class, granite-chinned opponent. I’m predicting a Pacquiao knockout victory this weekend – surprise, so are the bookmakers – against Chris Algieri (20-0, 8 KO), who has never been stopped but whose chin is far less battle-tested than the aforementioned fighters. I’ve seen Algieri get badly clipped in two fights, and his style is tailor-made for Pacquiao to succeed. Algieri offers virtually nothing in the way of power, so Pacquiao will have no trouble charging inside and using his superior footwork and hand speed to land power punches on Algieri. If Pacquiao scores a knockout win over Algieri, maybe then Pacquiao’s critics will realize that the champ hasn’t lost his power; rather, it’s merely been sitting dormant in his back pocket all along, just waiting for an opportunity to resurface against the right opponent. You are here: Home / Boxing News / Has Manny Pacquiao really lost his power and killer instinct?